John David Tatum was born November 18, 1948 in Cherryville, North Carolina and grew up in Passaic. The Tatums moved north in the 1950s. Although Jack was athletic, he didn’t play organized sports until he was in his teens. Jack joined the Passaic High varsity football squad as a sophomore and started for the Indians at running back and defensive back. Known for his hard hitting despite a relatively modest 5' 10" frame, he was All-State as a junior and All-American as a senior. Jack sorted through numerous scholarship offers before accepting a full ride from Ohio State in 1967. Though recruited as a running back, Jack became a full-time defensive player on the suggestion of assistant Lou Holtz, who convinced head coach Woody Hayes that his aggressive tackling would make him a difference-maker. Jack was First Team All-Big 10 as a sophomore, junior and senior, and a consensus All-American in 1969 and 1970. He was named national Defensive Player of the Year as a senior and finished 7th in the Heisman Trophy voting. Buckeyes QB Rex Kern finished 5th. The 1968 team was crowned national champions, while the 1970 team was ranked #2. Jack was selected by the Oakland Raiders in the first round of the 1971 NFL Draft. The Raiders also got Phil Villapiano,and Clarence Davis in the same draft. Jack won the starting job at free safety and set the tone for his career in his first regular season game, when he knocked Colts’ tight ends Tom Mitchell and John Mackey out of the game. Jack picked off 4 passes in each of his first two seasons. 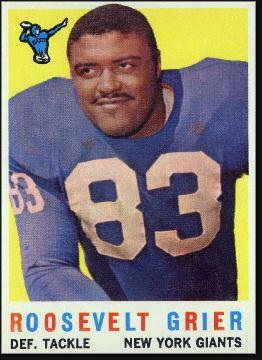 He was part of Oakland’s “Soul Patrol” secondary along with George Atkinson, Willie Brown and Skip Thomas. In 1972, Jack scooped up a fumble in the end zone against the Packers and returned it 104 yards for a record-setting touchdown. In the playoffs that December, he defended a last-gasp pass from Terry Bradshaw that ricocheted into the arms of Franco Harris, who scored the winning touchdown. The play became known as the Immaculate Reception. The following season Jack was picked for his first of three consecutive Pro Bowls. The Raiders won the AFC title in 1974 and defeated the Vikings in the Super Bowl. Jack’s highlight-reel hit on Sammy White separated the receiver from his helmet and went down as one of the hardest tackles in Super Bowl history. Another tackle, on Darryl Stingley of the Patriots in a 1978 preseason game, left Stingley paralyzed. Jack was a changed man after that game, and retired prior to the 1981 seasons after a year with the Oilers. He intercepted 37 passes and recovered 9 fumbles in 10 seasons. After football, Jack got into the real estate business in California and also wrote three books. The first, They Call Me Assassin, is considered a classic. Ironically, Jack never had that nickname during his playing career. Later in life, Jack suffered from diabetes and had to have his right leg amputated. He died at 61 after a heart attack.